We recently made the decision here at M Force’s corporate HQ in Knoxville to move closer together. Previously, we’d been a bit separated with our operations department downstairs and recruiters and account managers upstairs. It wasn’t a major change, but it brought us closer together. 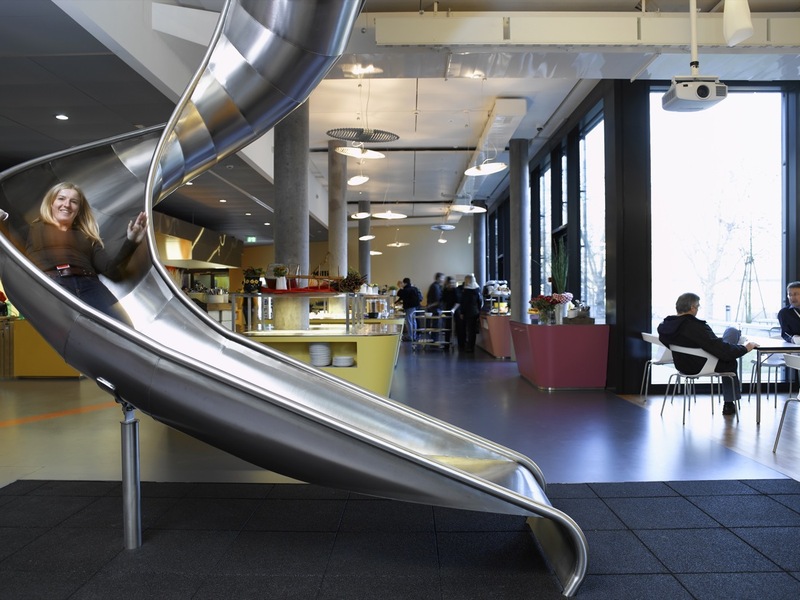 You’ve probably seen those lists of cool offices. You know the ones. Google, Facebook, Groupon. 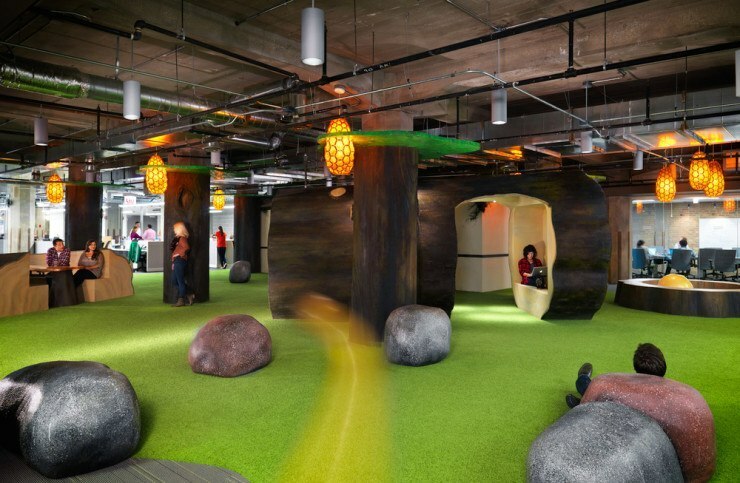 They usually feature trendy furniture and things like slides, video game rooms or nap pods (nap pods?). What if you don’t have several million dollars to spend? 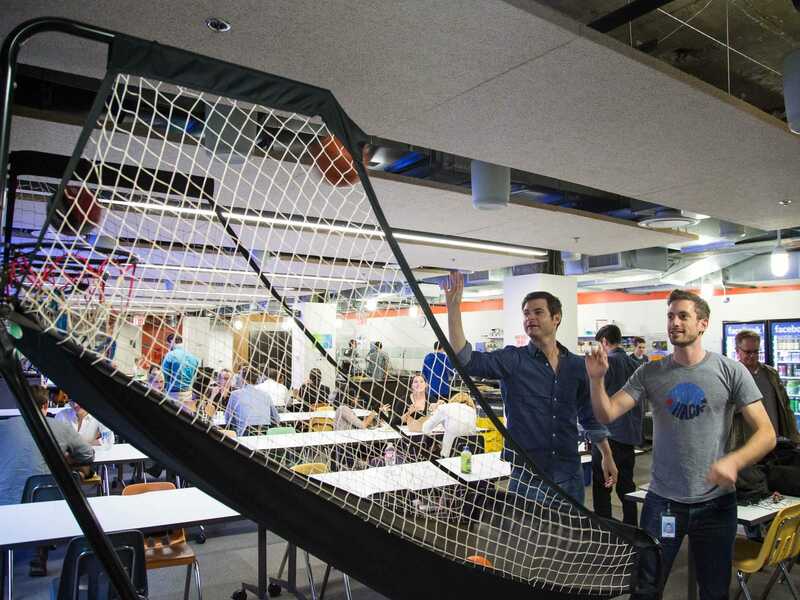 What if you don’t want your office to look like a spaceship? The one thing these offices all have in common (besides a juice bar!) is collaboration and creativity. They place a premium on putting their employees in an environment where they can work together and succeed together. That’s the goal of all of this. Pretty offices mean nothing if they don’t help people work. Back to our office here in Knoxville. Bringing all of us closer together has made a difference and it’s something you can do in your office too! Here are a few things to try in your office. If your employees are close enough that they can just walk down the hall instead of picking up the phone, then they are more likely to have a meaningful conversation. Being able to read your coworkers facial expressions or draw out a problem on a white board can go a long way. It’ll probably lead to faster solutions too! Make it easier for your employees to get together and talk. People used to meet around the water cooler. Today, maybe it’s the coffee machine or a comfortable seating area. Now that everyone is closer together, encourage your coworkers to get to know each other better. A little socializing will make working together so much better! Encourage your employees that manage or supervise other people to move around and see everyone they work with each day. Not a phone call. Not an email. Stop in and say hello! Since we’ve started working closer together I’ve noticed a new vibrance in the office. Phones are ringing, people are talking and things are getting done. This lends an air of productivity to our office that was missing before. People are encouraged when they here good things happening in the office next to them. In an era when more business is done virtually and more employees are working from home, bringing people physically closer together can have a huge impact on your company’s culture. We’re still human after all!